…in John’s [the Baptist] and Jesus’ preaching the coming and break-through of the kingdom are put in the foreground, and not the state of things at the time of fulfillment. This tremendous dynamic of the divine coming which sets the world of the angels in motion (Matt. 1; Luke 2); fills the devil’s empire with alarm (Matt 4:3ff; Mark 1:24; Matt 12:29); yes, even causes Satan to fall from heaven (Luke 10:18), permeates and transmits itself in everything and in all who are touched by it. 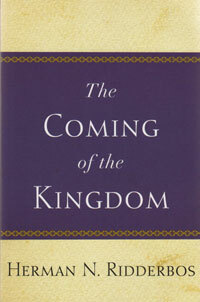 For the coming of the kingdom is the initial stage of the great drama of the history of the end. It throws man and the world into a crisis. It is this fact which lends such an insistent and also ominous power to the call: “Repent, for the kingdom of heaven is at hand.” Especially the Baptist’s preaching gives expression to it in such an unmistakable way: “the axe is laid at the root of the trees,” “he that cometh after me… his fan is in his hand” (Matt. 3:10-12). That is why Jesus is able to say that he has not come to bring peace on earth, but a sword (Matt. 10:34); he even says that he has come to send fire on the earth (Luke 12:49ff). In all this and at the back of it is always the thought that the coming of the kingdom will be full of power and energy. It confronts man with the necessity of making all-important decisions that will rule his whole existence. Its coming should rouse everybody from their false rest and complacency. Having celebrated Christmas, and the inauguration of Christ’s kingdom on earth, may we each take stock of false rest, complacency, and worldly peace; instead may we submit and be animated by the divine power and energy of His coming kingdom! 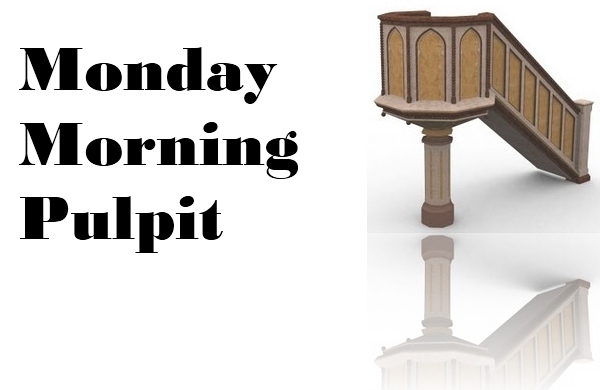 This entry was posted in exegetical, posts and tagged Matthew 10, Monday Morning Pulpit, ridderbos by blund. Bookmark the permalink.